Folder for keeping your well log, well maintenance, and other important water well details. 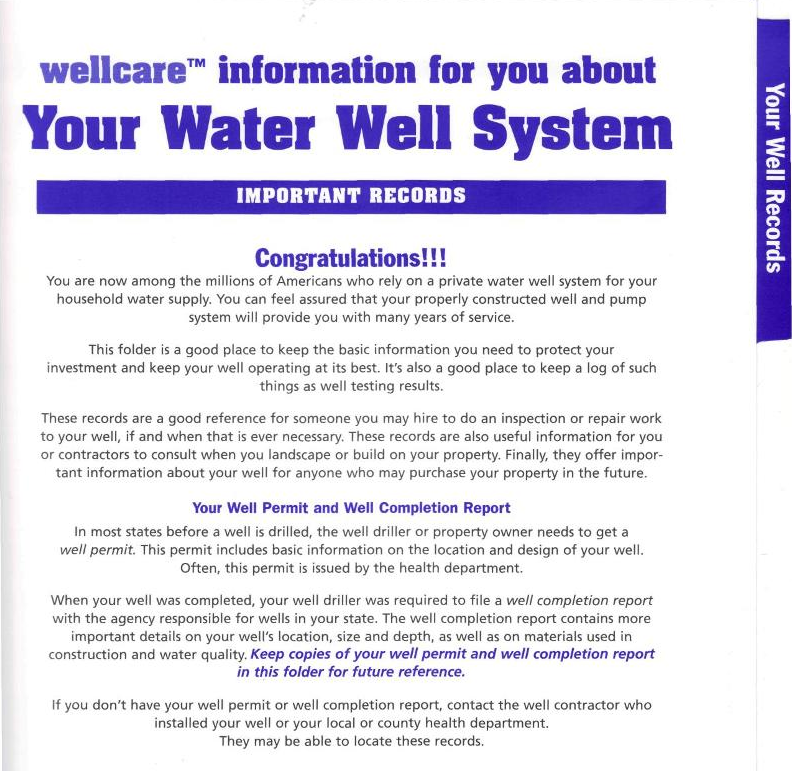 The 3 1/2 x 5-inch wellcare® Pocket Guide is a quick reference on water well systems, well maintenance, and well water testing and treatment. 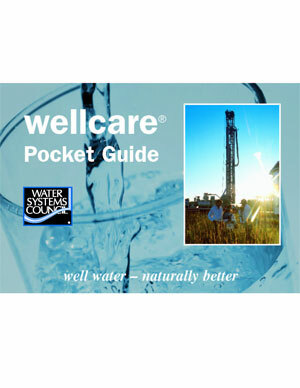 Its primary focus is household wells, but the Pocket Guide may also pertain to other small, shared water well systems.